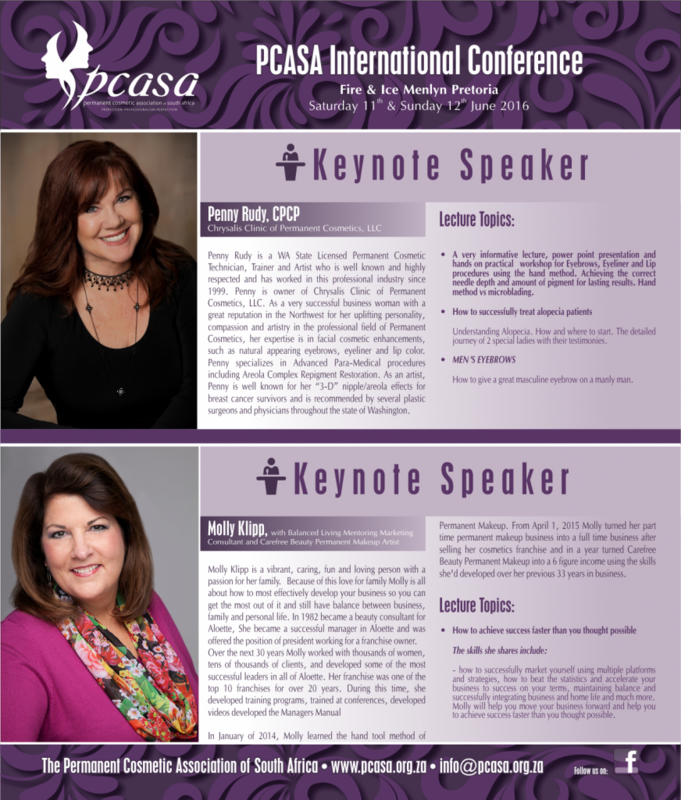 Here is a sneak peak of our two International speakers that will be hosting our International PCASA conference. If you are not a member yet you still can apply to get the special rate!! Attached is the registration form – please fill it in electronically – save it on your pc and send it back to secure you seat. As soon as we receive your registration form we will send you an invoice for payment. Then we can secure your seat.